Having a fun Bonaire vacation is not something many persons visiting the region will consider because so little is known about the island. This island is one of the few Dutch dependent territories in the Caribbean. Bonaire is a part of the ABC islands which are located north of Venezuela. The other two islands in the territory are Aruba and Curaçao which are all popular tourism destinations. One of the main reasons you should have these islands as a part of your vacation plans in the Caribbean during the months of August and September is because of the Atlantis Hurricane season. These islands are located outside the hurricane belt, which means that are some islands in the region that are not affected by the hurricane season for you to enjoy. Bonaire can be reached from international gateways in the United States. In addition, the official language of the island is Dutch, but you will find that Engish and Spanish are also widely spoke by its citizens. Exciting Water Sports | How to get to Bonaire? The native of the island would claim that this Caribbean holiday spot is the most beautiful place to be in the region. 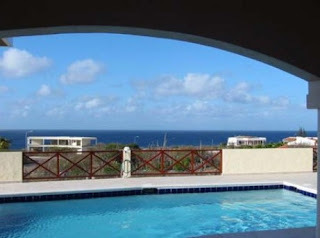 Bonaire is a flat limestone is with many amazing beaches and coral reef attractions. Apart from Jamaica and the Cayman Islands the ABC islands are the only other countries with the Caribbean Sea surrounding it coastline. This has allowed island like Bonaire to have some fantastic fun vacations spots to enjoy water sports attractions. The scuba diving and snorkeling experiences around the island are simple amazing. You will find that about one third of the visitors taking a Bonaire holiday will return to the destination for another taste of the fun filling experiences they got from their original visit. You can fly directly to bonaire from the United States and Europe. Visitors to the island from the United States use international gateways in Houston, Atlanta, Newark, and Miami. In Europe, the airport in Amsterdam is used. The two other islands that make up thhe ABC islands, Curacao or Aruba, also give acess to Bonaire. Mention was made of the fact there is a remote chance that you will find a hurricane or a tropical storm ever affecting the island which is a great reason the island should be on your vacation calendar. Another of the top reasons you should consider a Bonaire vacation is the excellent tropical weather throughout the year. You will find that there is not really winter months in island because the lovely summer temperature remains all throughout the year. The months of October to January is generally the most rainy periods of the year on the island. You will find that there are many beautiful tropical vacation spots throughout the Caribbean. However, with the largest number of visitors to the islands there must be measures put in place to maintain the environment. The island of Bonaire is one of the champion countries when is comes to environmentally friendly practises. This is another of the great reason Bonaire vacation spots are able to get a third of their visitors returning to the island. Snorkeling and scuba diving are done in an environmentally friendly manner in the island. Another aspect of Bonaire vacation you will relish is the friendliness of the people. The island is a place for relaxation and getting away from the busy way of life you are accustom to. It is a place you will find an easy going relaxed nightlife, fun place to go shopping, enjoy horseback riding, and hiking. The island of Bonaire is one of the Caribbean islands you can plan a vacation without any fears of a storm or hurricane affecting your travel plans. It is a place with will provide you with a Dutch Caribbean experience along with some of the best water sport activities you will find in the region. Bonaire vacation has all the makings of the wonderful holiday at any time of the year in the Caribbean.